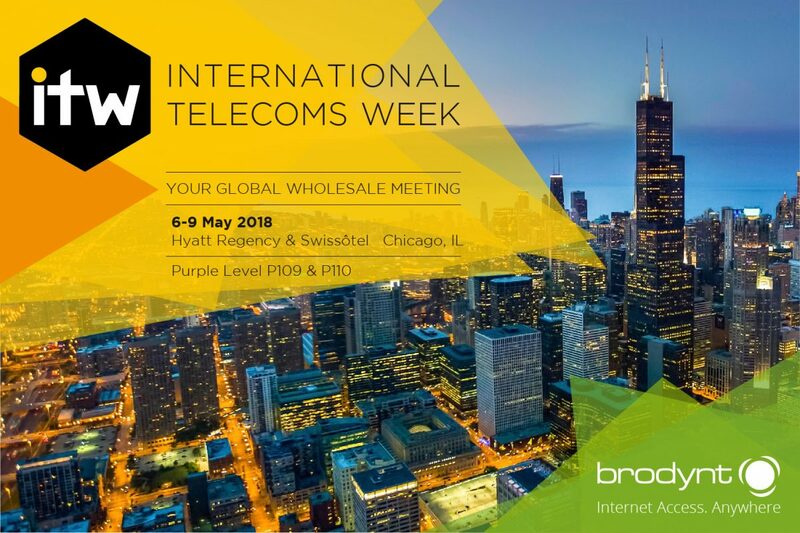 Brodynt will send a large delegation to ITW, the world’s largest event in the wholesale telecoms market. It will take place from May 6th to 9th, 2018 in Chicago, IL (USA). ITW (International Telecoms Week) is the annual meeting for the global wholesale telecoms industry. The event will provide a platform for 6,743 delegates from 1,944 companies and more than 140 countries to meet together and network. Hyatt Regency and Swissotel Chicago is a perfect fit for hosting the event. This chic, business-oriented hotel in downtown Chicago is close to the Magnificent Mile and iconic Chicago destinations. The event’s agenda includes talks on topics such as: cloud reliability, virtualisation, opportunities for Network Service Providers (NSPs), and SD-WAN adoption, among others. As usual, the event will close with a big party in a fashionable Chicago venue. After being present in all the latest editions of ITW, we at Brodynt are glad to be back. Both our Co-Founders, Marcus Muñoz and Marc Mateo, will be there, as well as our Business Development Director, Hugo Holmes, our Global Sales Director, Albert M. Bosch, and other members of the Business Development and Sales teams. You can find us in Purple Level P109 & P110. Just send us a message and we will be glad to meet you there. Seen you soon in The Windy City!